James is Vice President of the APSG-Institutional Equity group at BlackRock. BlackRock is one of the world's largest premier provider of global investment management, risk management and advisory services to institutional and retail clients. Prior to joining BLK in 2002, James held positions at Scudder Investments and MFS Investment Management. James holds a BS from Suffolk University. 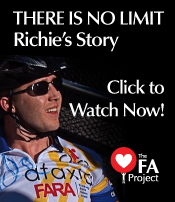 James grew up in Winthrop, MA where he met his childhood friend, Richard Currier whose battle with Friedreich's Ataxia was the genesis for the FA Project. He resides in Saugus, MA with his wife Suzane. He enjoys spending time with family and friends, playing basketball and is an avid Boston sports fan. As head of marketing, James' role is to lead the effort in achieving our mission of raising awareness of Freidreich’s Ataxia. Our plan is to obtain this through strategic networking and working closely with other FA groups. James can be reached anytime at james@TheFAProject.org.